Natural Gas Vehicles (NGVs) are successful competitors in the world’s best motor racing events. Podium finishes and world records are testament to the performance qualities of NGVs as they race to the limits — motorsport is, after all, the proving ground for future technology in the automotive industry. The season opener for the 2012 Swedish Touring Car Championships (STCC), in which two teams each with two cars are competing, displayed the brilliance not just of the drivers but also the natural gas vehicle technology, to take 1st, 3rd, 5th and 6th places after the two heats. All four cars are VW Motorsport Sciroccos using renewable biomethane for fuel. 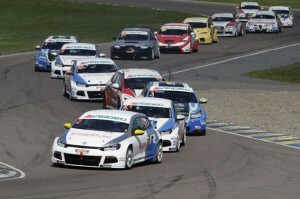 Team biogas.se were the STCC Team Champions for 2011. 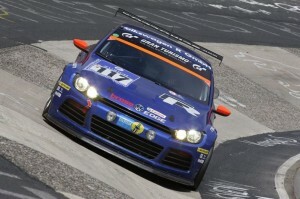 Additionally, biomethane-powered VW Sciroccos have raced in the Nurburgring Nordschleife 24-hour event, taking out first place in the alternative fuel class in 2010 and 2011 as well as performing well in the overall placings. Compared with conventional fuels for spark ignition engines the Scirocco GT24’s CO2 emissions are decreased by at least 80 per cent. The 4-cylinder 1998 cc vehicle is turbo modified and adapted to run on natural gas (biomethane). 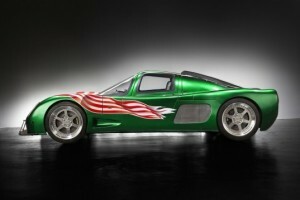 The car can reach 0-100 km/h in about 4.5 seconds and a top speed of about 240 km/h. Off the track and developed in the USA, the Maxximus LNG 2000 set the world record for a street-legal car, using liquefied natural gas for fuel to accelerate from 0 – 60 mph (0 – 97 kph) in just 1.96 seconds, in April 2012. At the lower budget end of record-setting, students at Oklahoma State University set a world record mid-2011 by running their compressed natural gas (CNG)-fueled formula race car 328 laps in a 24-hour period at Hallett Motor Racing Circuit in Oklahoma. The record was for longest distance traveled, more than 590 miles (950 kms), by a Formula SAE racing car of any type. In what is arguably the world’s most extreme rally, the Dakar, the performance of natural gas once again shone through the dirt and dust to achieve a 25th, 29th and 48th for three converted vehicles in January 2011. Out of 156 starting vehicles in the ‘car’ section, only 55 finished. Check out the “Motorsport” category under Technology on NGV Global News for up-to-date news of natural gas vehicle achievements.